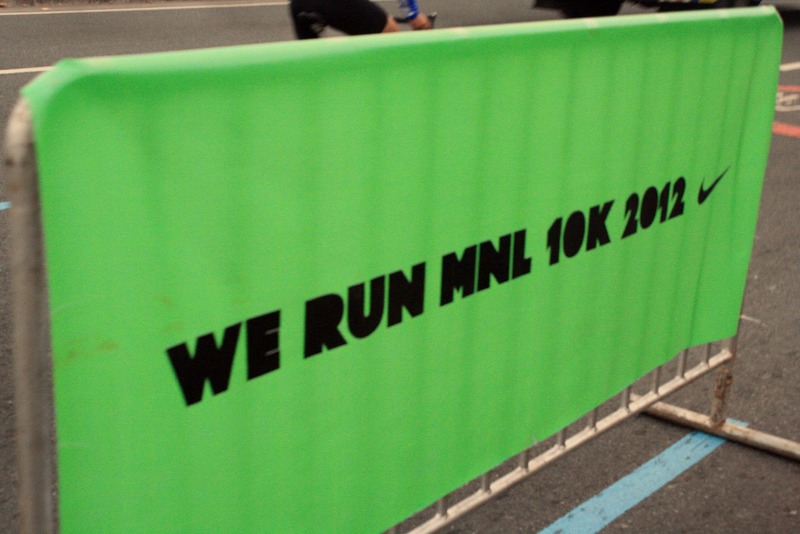 Yesterday, I attended the Nike We Run MNL 10K 2012 event and had my first 10K run ever. 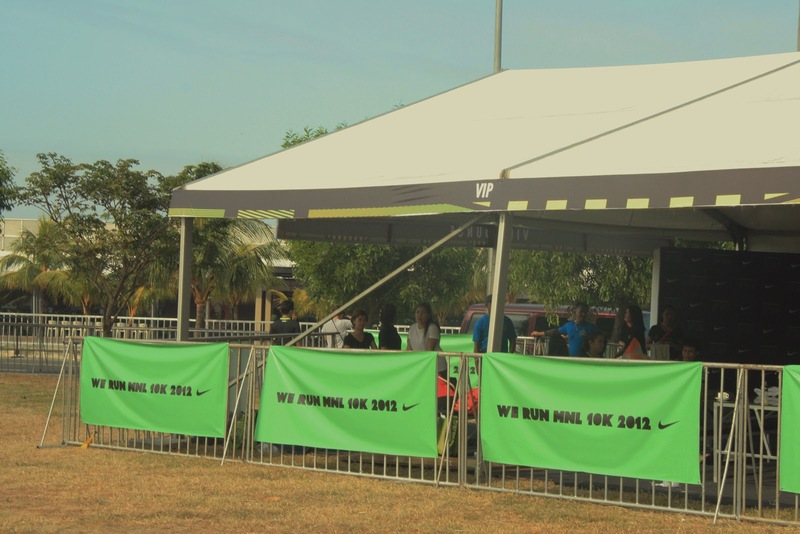 The Nike We Run is a global race movement and a lot of countries are included in this event. 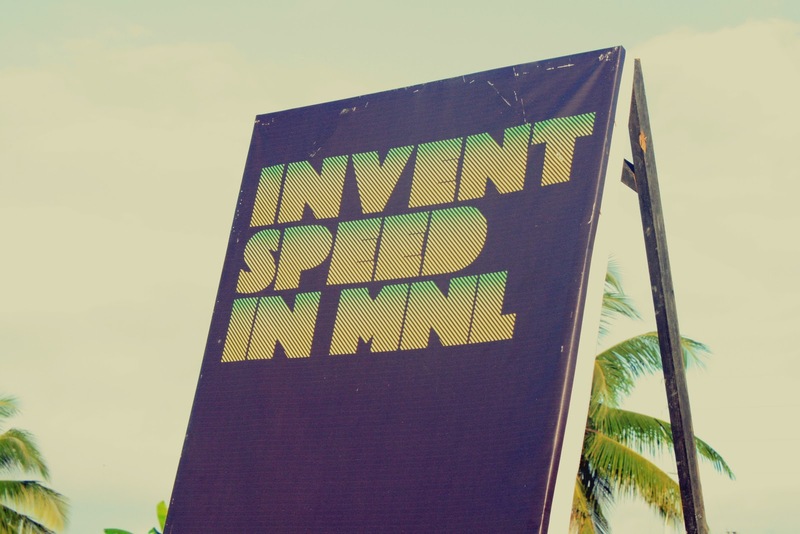 This time, it's in Manila. 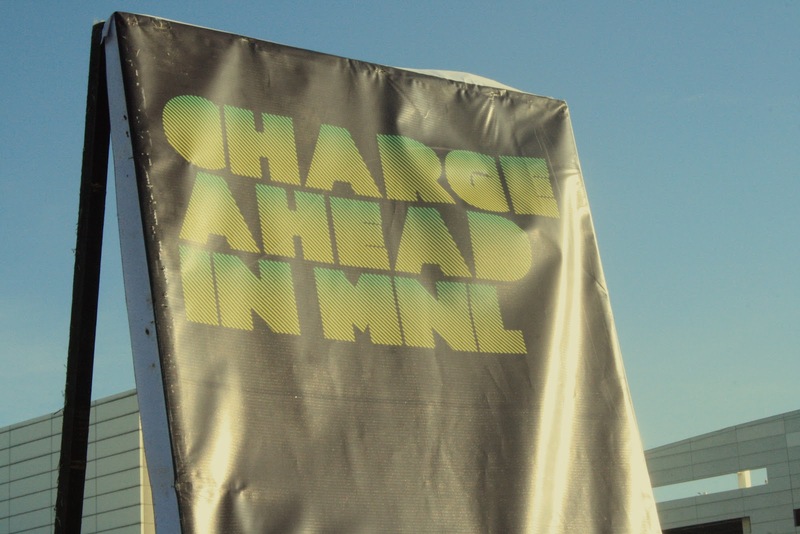 I didn't expect that I will be part of this big event because I wasn't aware that this event exists 'til I read Lissa Kahayon's blog post. 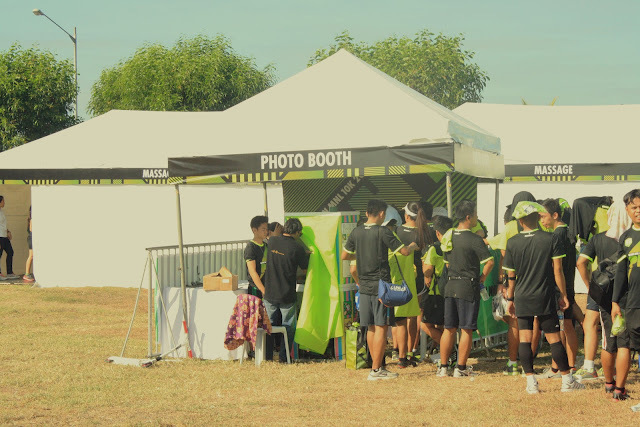 I found out she was giving away race kits along with VIP Passes at the Race Village. I tried my luck and I won! 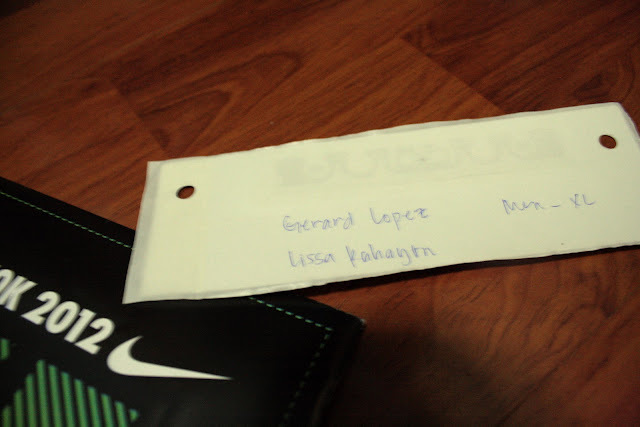 I claimed my race kit from PR Jandric Lim at Ogilvy. 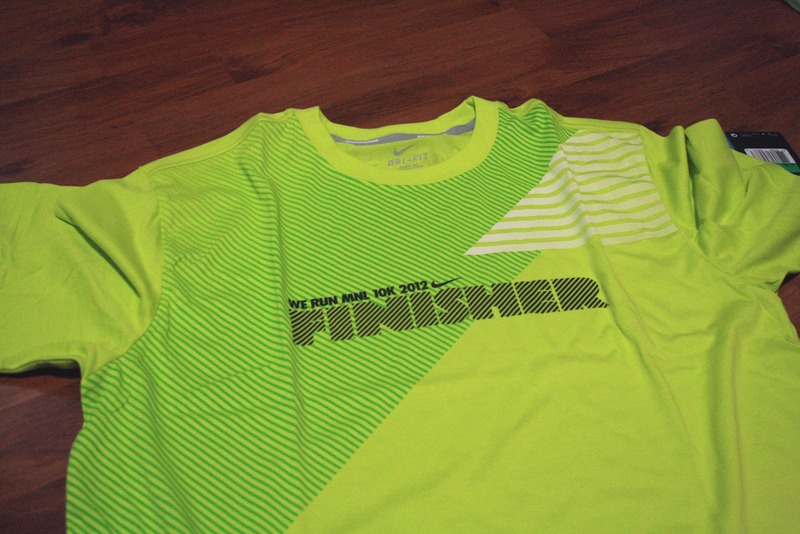 The race kit included a bag, official race shirt, a water bottle and a D-Tag for tracking your running time. 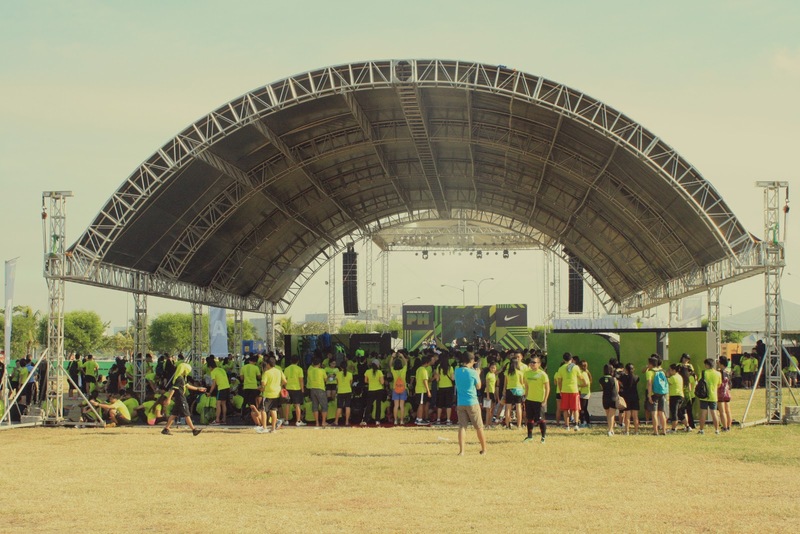 At such an early time, people were already gathered at the Seaside Boulevard of The Mall of Asia. I wish I had a friend to run with me because it's kinda lonely and everyone else looks like they're with someone so the race would be more fun. 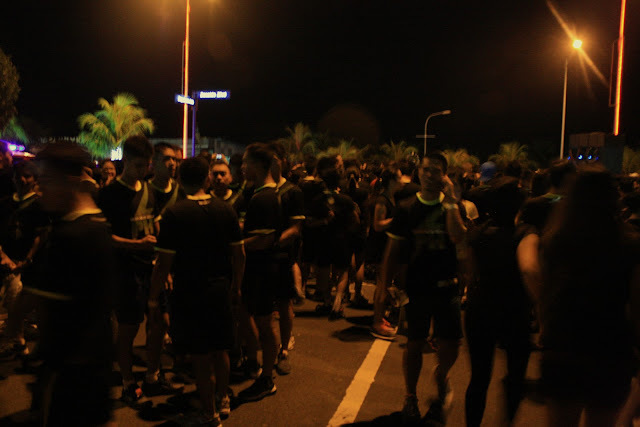 The race started at 5:30 a.m. I was jealous of the people who kept running like they don't run out of energy. 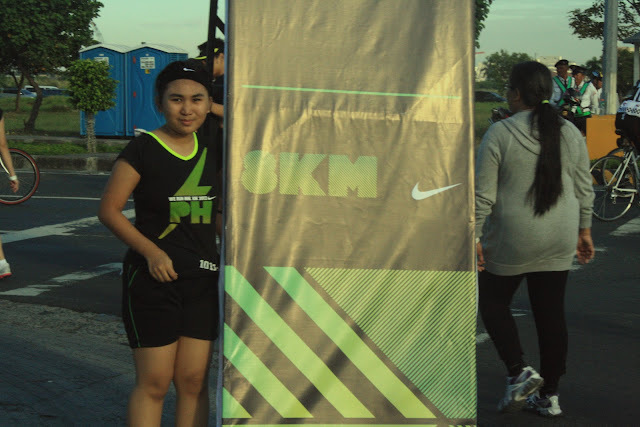 I ran for a few kilometers and walked the rest of the course. Haha! 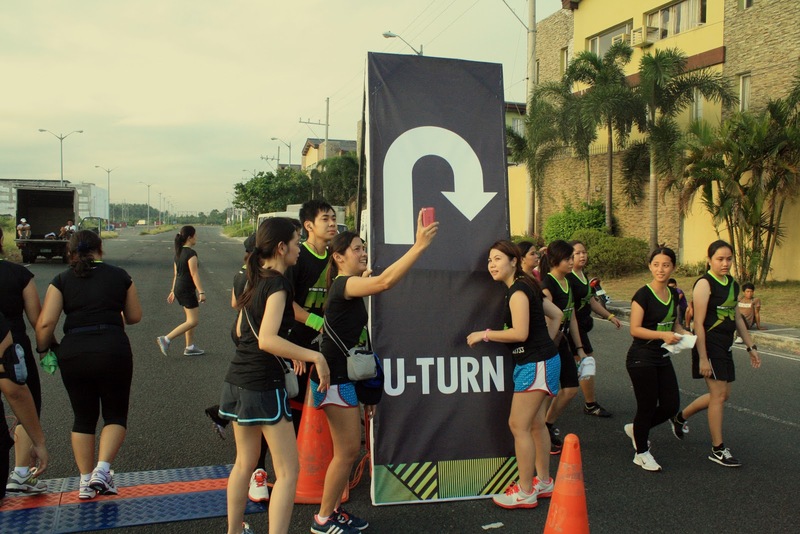 After a few kilometers, there was a water station. It was a life saver because my throat was drying up already. Haha! 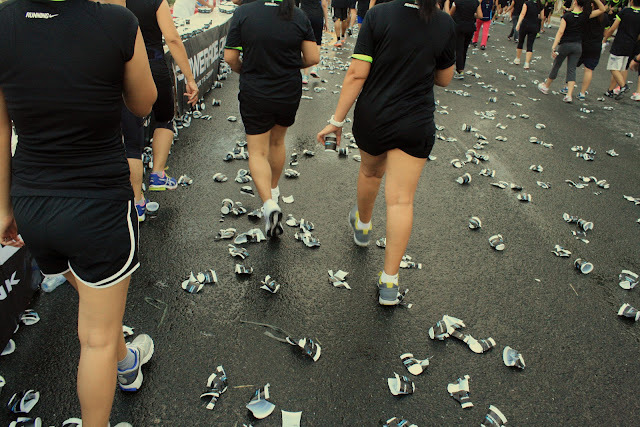 I felt bad a bit for the environment because plastic cups were all over but of course they were cleaned up after. It was crazy because a lot of people were already on their way back while I was just about to finish half of the course. DJs were located in different parts of the race to hype up the mood! After an hour, I finally reached the U-Turn which means I already ran/walked half of the race and almost done. 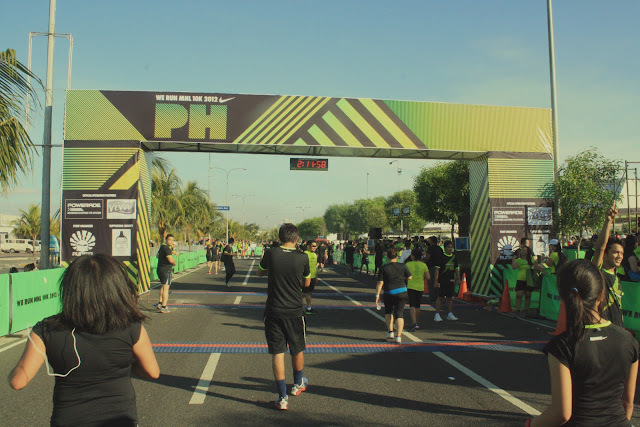 I was glad I finally saw the finish line because my feet were already killing me. 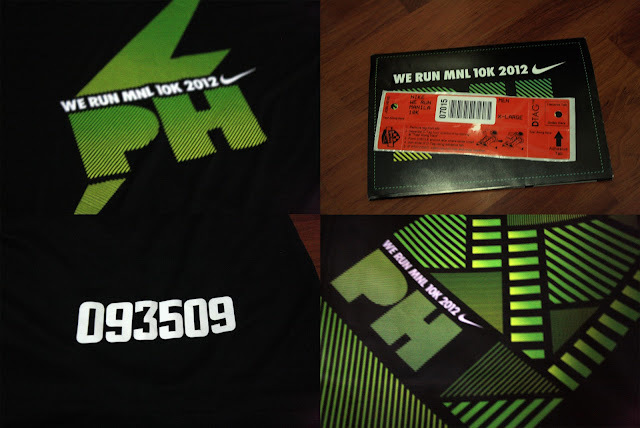 I wasn't prepared for a race this long because I'm not physically fit and I usually run 3K races only. But I still had fun! 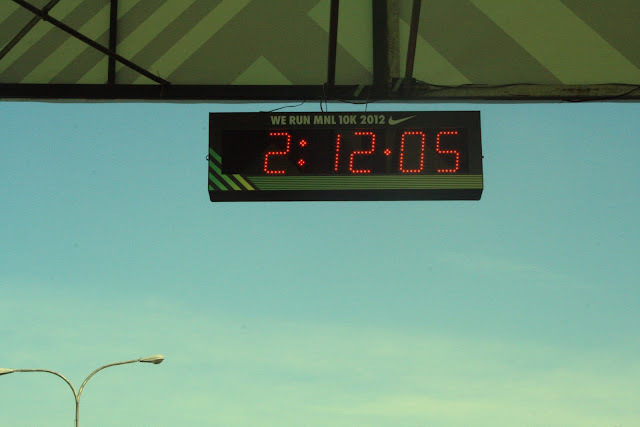 This was the time it took me to finish the race. Haha! I was surprised because I thought it would take me 3-5 hours to finish it. 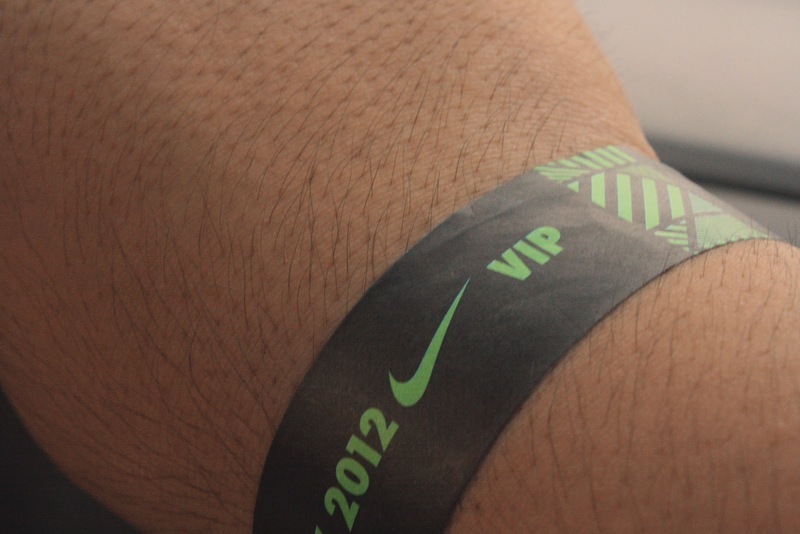 I changed my clothes afterwards and went to the Race Village with my VIP Pass. 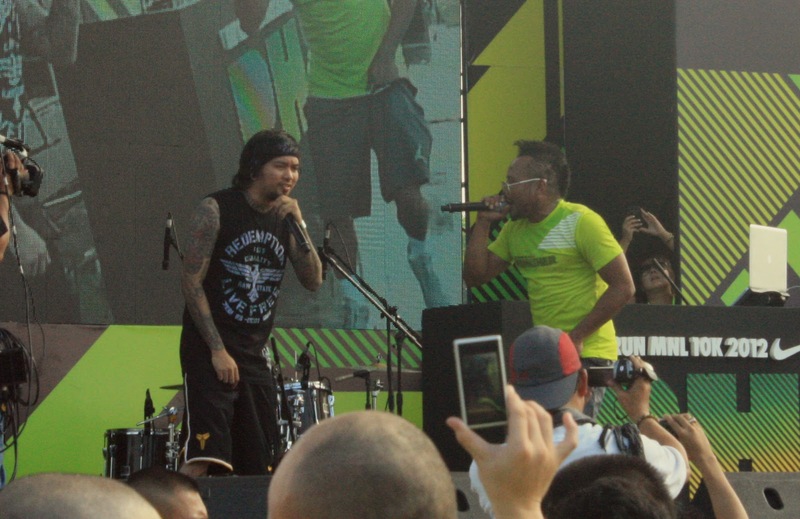 At the Race Village, bands like Never The Strangers, Spongecola and Chicosci performed for the attendees. 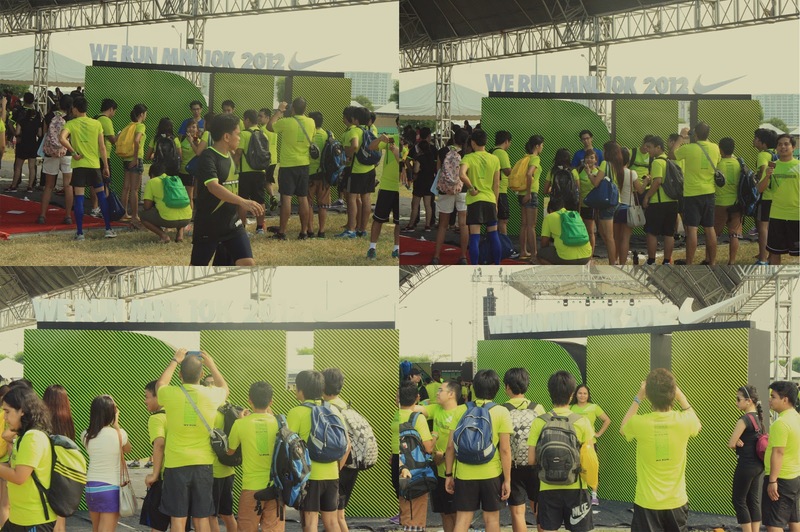 There was also a Photo Booth for the runners but I didn't go because the line was too long and it was very hot that day. I immediately went to the VIP massage because I was dead tired and I could really use a nice one. 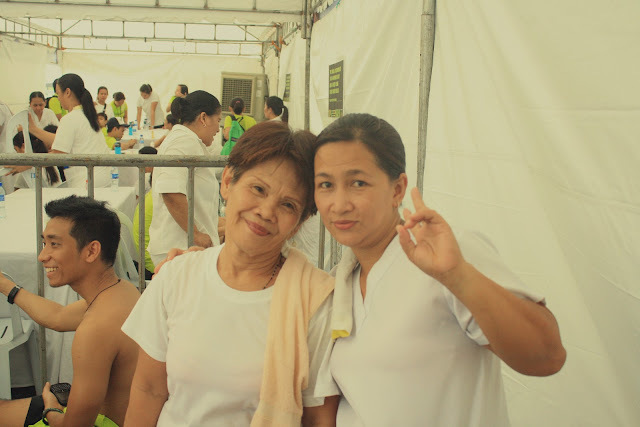 The ate on the left was my masseuse. Both of them made me feel like I'm a celebrity because they wanted to take a picture with me. Haha! Afterwards, I took their picture and thanked them for the massage. 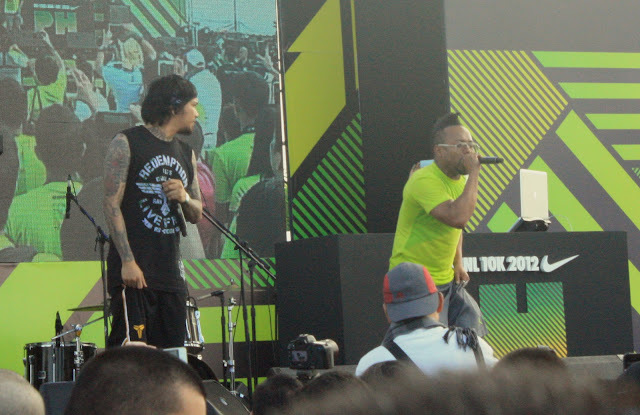 After the massage, I watched Apl.de.ap perform on stage. 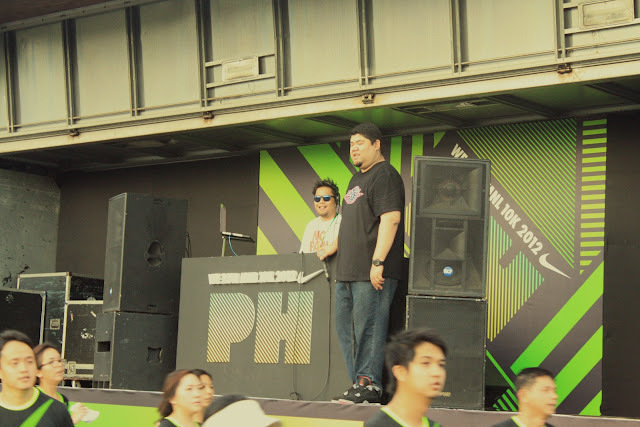 His beats made the crowd go wild! There was also a VIP Lounge where we can stay and take a break. 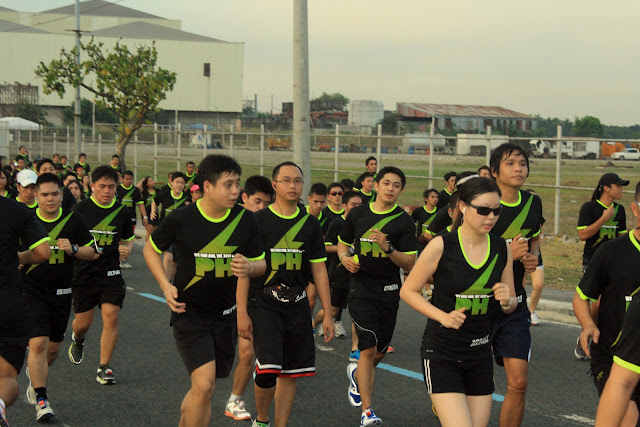 I saw there the very beautiful Lissa Kahayon but I was too shy too ask for a picture. Also because I thought she was another celebrity 'til saw the photos on the Nike Facebook page and confirmed that it was really her. Haha! Giant standees and backdrops were all over the Race Village for photo opportunities.